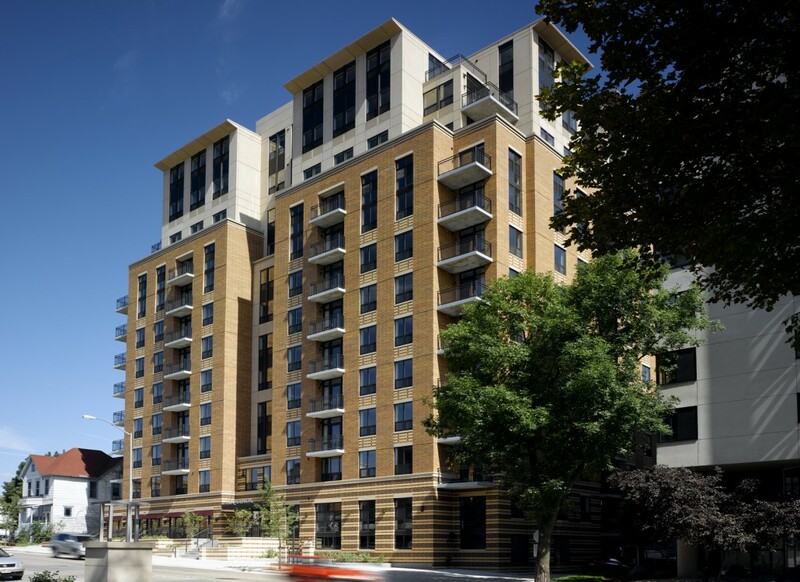 The Equinox is a twelve-story student housing project located on the UW Madison campus. 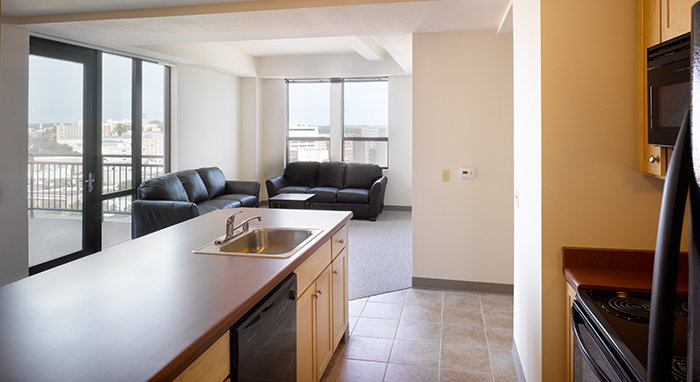 The building has 115 units (329 beds) that range from studio apartments to four bedroom units. Along the street, pedestrians can gather in the first floor commercial retail space as well as use the terrace for dining and socializing. 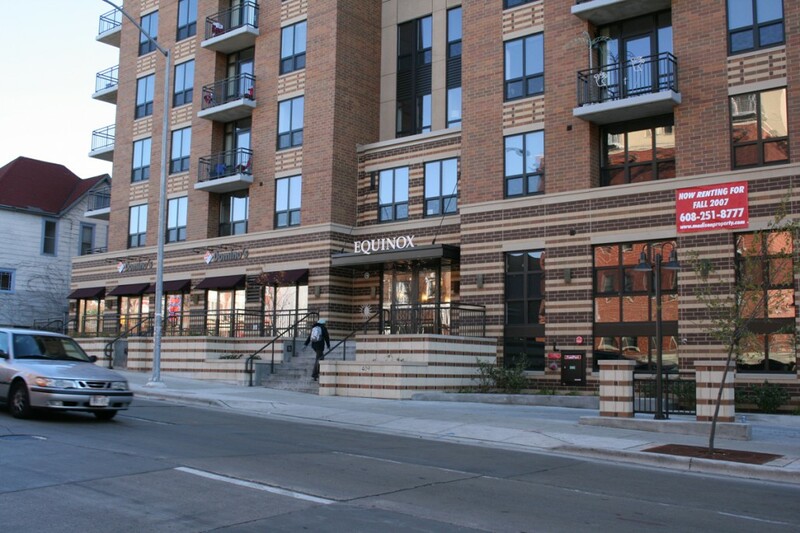 The Equinox includes affordable units that conform to the city’s inclusionary zoning rules. Parking for mopeds, bicycles and cars is provided below grade. Quality materials were used on the exterior that include brick and cast stone on the first nine floors. An intricate brick pattern on the first floor adds to the interest and craftsmanship of the building at the street level. To reduce the scale of the building and provide more light to the street, the upper three floors are stepped back and composed of glass and concrete to create a unique top to the building. Located in an urban setting the Equinox helps to reduce suburban sprawl by increasing the density in the central urban district. Allowing students to live near campus in an urban setting reduces the need to own and use automobiles, which can add to the quality of life of city residents and our environment. Potter Lawson worked with Knothe & Bruce on this project.